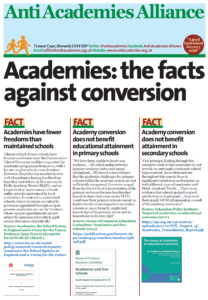 Please find enclosed a revised (2nd draft) copy of our document concerning Michaela Community (Free) school. This is just to clarify particular action points that we are calling for you and the Authority to take up arising from the potentially dangerous situation we uncovered and, we believe, aspects of which are still extant. 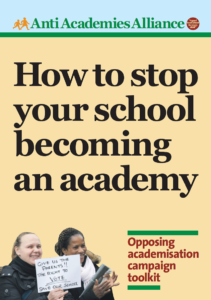 1) For the Authority to write to the Secretary of State for Education and Michaela Community school seeking their response to the specific actions I believe should be undertaken in the section of the document on Page 7 headed “Urgent actions that need to be undertaken”. 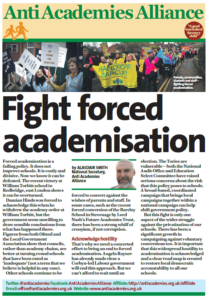 2) That the request in the last paragraph on Page 8 from “We call on the local authority” down to “other Brent LA schools” and further to raise with the Secretary of State both the exact present legal position of the LA in regard to potential hazards facing the health and safety of Brent pupils in free schools (and academies) and the unsatisfactory nature of the present anomalous position. PS: I am also sending this draft document to the Fire Brigade, H&S Executive, ATL, NASUWT and NUT Teacher Unions, Brent school H&S Reps and the media requesting their observations, comments and actions as appropriate. This entry was posted in News and tagged Free Schools, Health and Safety. Bookmark the permalink.